Our Environmental Programme, set up by teachers and experts in the district, ensures an ongoing interaction with the unique resources in our area. 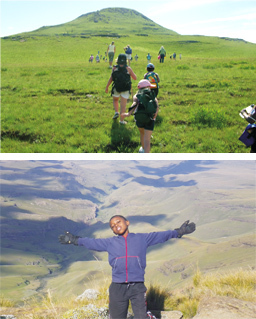 We have had a very active club and have been part of the WESSA Eco-Schools Programme since 2009. In 2012 we go a gold certificate and in 2014 our International Flag. Many environmental themes and activities have been completed. This year we hosted the Sani Wildlife AGBN on the 20th May. Jemma Hayward introduced the guest speaker Dr Jason Londt who gave an interesting speech.